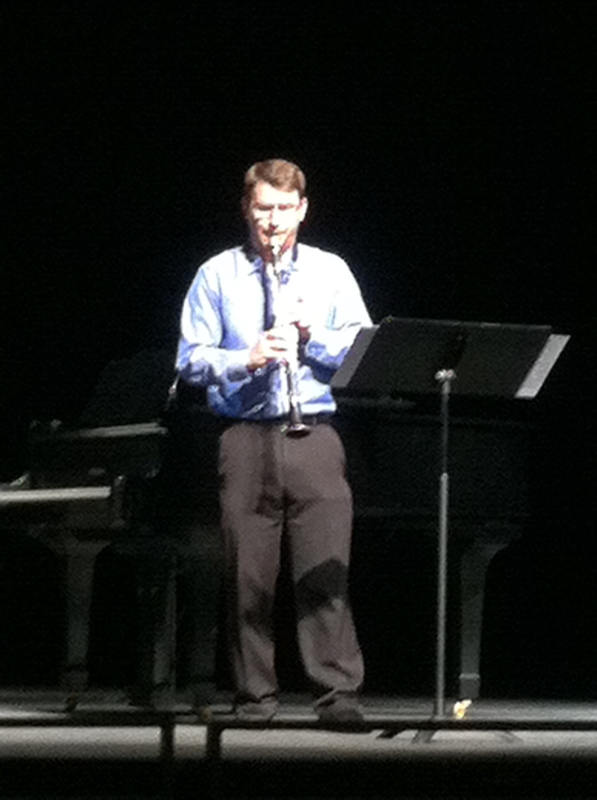 As ClarinetFest winds down, attendees were entertained Saturday with a potpourri of chamber music. The first ensemble to perform was the ‘Miami Clarinets’ whose members are Margaret Donaghue Flavin, Dawn McConkie, Michael Walsh, and Danielle Woolery Scalia. Dr. Flavin is Professor of Clarinet at the University of Miami Frost School of Music and the three remaining members are all doctoral alumni of the program. They performed two pieces: Fugue and Prelude by Choi and Of Living Sapphire by Mulligan. To contrast the timbre of the quartet Jaren Hinckley, clarinet, Christian Smith, bassoon, and Jeffrey Shumway, piano, performed Hinckley’s work Hinterlands in 3 movements, I. Eas Coul Aulin (Sutherland, Scotland), II. Rocky Ridge (Wyoming, U.S.A.), and III. Nordkapp (Finnmark, Norway). The first movement was a wonderful dialogue between the two as they traded off the energized main motive. 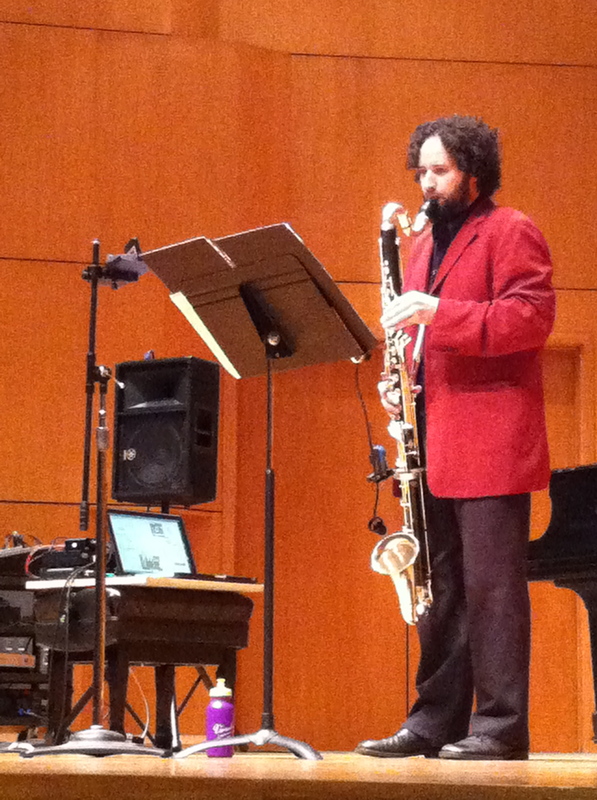 The second movement truly highlighted the warm timbre of the bassoon as it soloed over the clarinet accompaniment. The piece closed with an animated movement that again highlighted the bassoon’s charming character and left the listener invigorated. Dutch clarinetist Céleste Zewald performed Rudolf Escher’s Sonata for Clarinet Solo before being joined by members of the Ritz chamber orchestra in the final ensemble of the recital. They performed Alexander Glazunov’s quintet Oriental Reverie. Jennifer is a member of the United States Air Force Band of the West and is also finishing her DMA at the University of North Texas with Kimberly Cole Luevano. 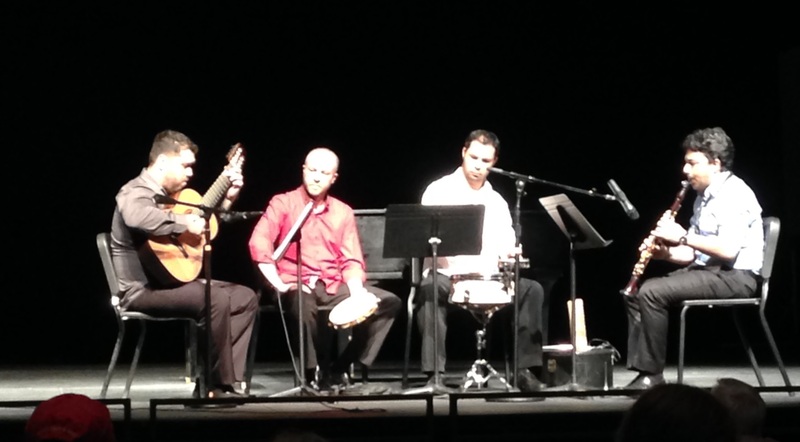 A Brazilian ensemble opened the recital program with performances of a variety of arrangements by Daniel Dalarossa, Reinaldo Lima, and Renato Leme. Ensemble members include Reinaldo Lima, Henrique Candido, Renato Leme, and Heber Pequeno who were all sponsored by Choromusic. The audience seemed to enjoy the variety of musical genres adapted for the ensemble, from Bach Prelude to Partita and from Charlie Parker to traditional Brazilian tunes. Katherine Palmer took stage for the second portion of the recital with works by Peruvian composer, Armando Guevara Ochoa. Katherine introduced his musical style as capable of incorporating sounds of the Andes mountains. This first unaccompanied piece had a variety of styles, from gentle songs to festive dances. Michelle Von Haugg joined Katherine Palmer for Huayno, a delightful and short duo, a Peruvian Dance in 2/4. 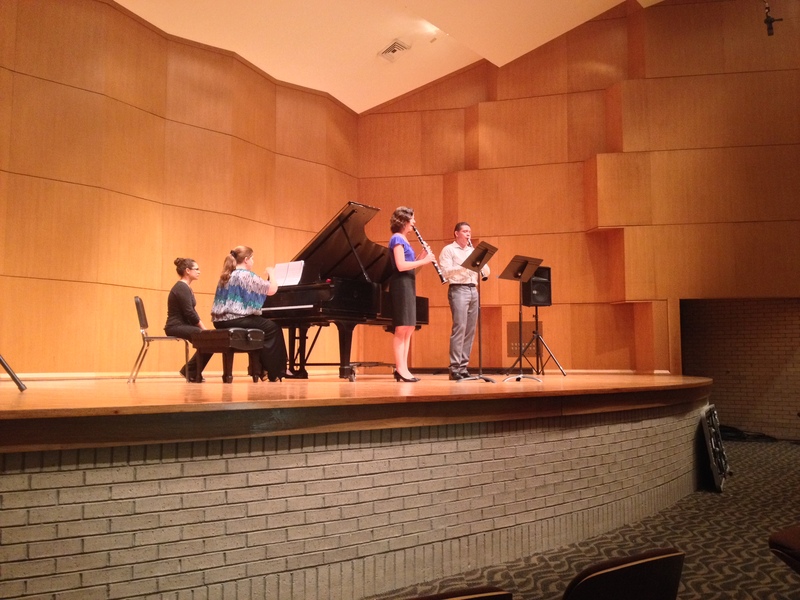 Lamento Andino, a beautiful trio for voice, clarinet, and piano, concluded Katherine Palmer’s performance on this recital. 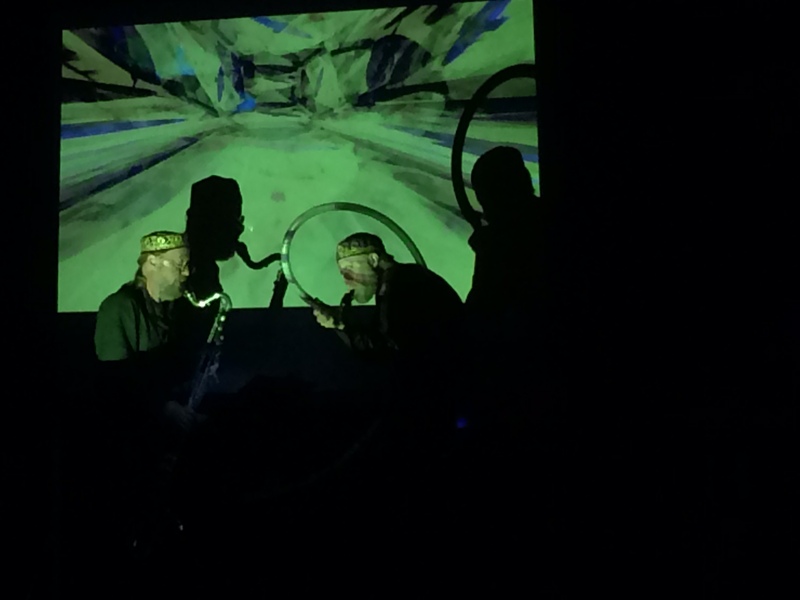 The performers executed beautifully and it was a wonderful shift in timbre and style.